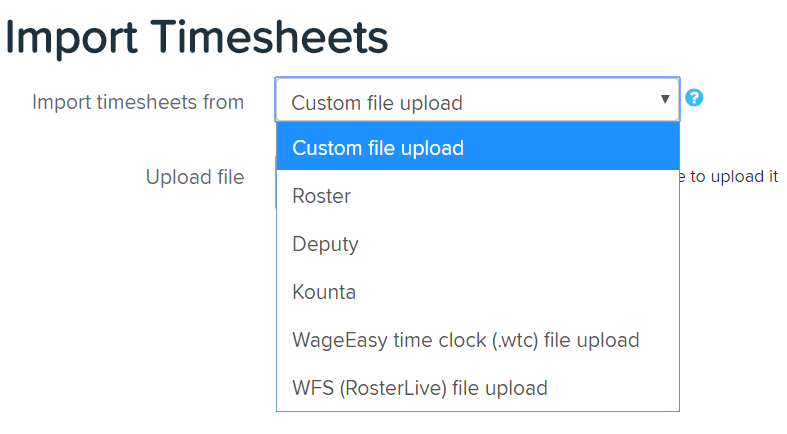 Timesheets can be imported from a variety of sources, including CSV file formats as well as direct import from third party providers. 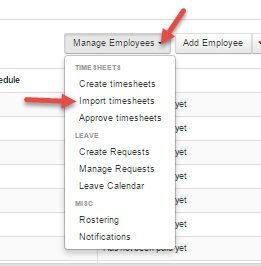 To import timesheets, please ensure the timesheet service is enabled within the Timsheet service page under payroll settings. From there you will be able to enable timesheets and configure providers. First, select the file to upload. 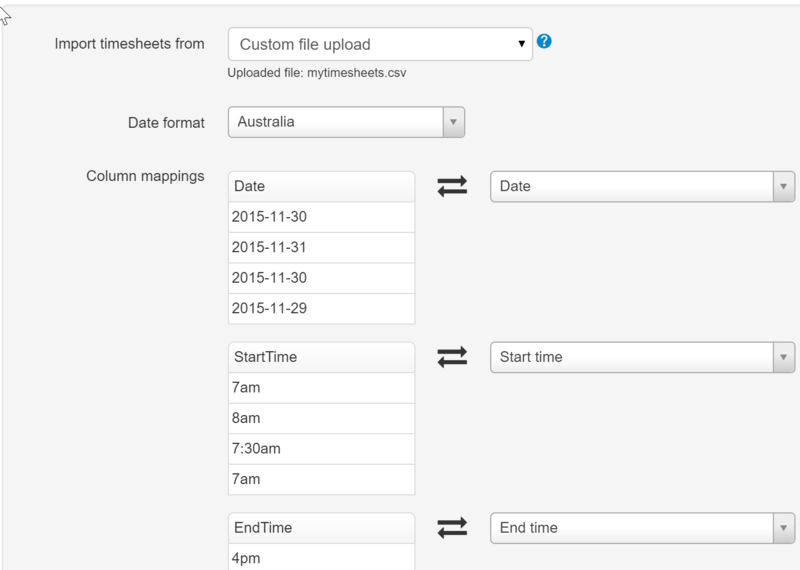 Once the file has been uploaded, the user is able to set the date format of the file (US date formats and Australian date formats are supported). Once the columns are mapped, the next step is to actually begin the import. 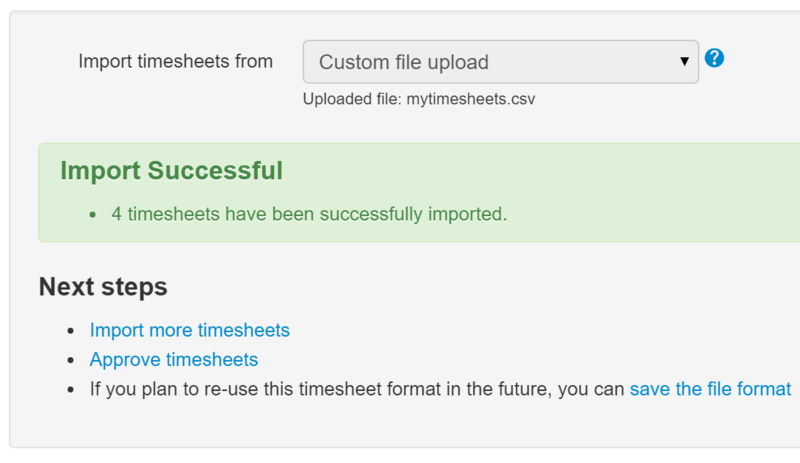 It is possible to replace timesheets uploaded in a previous import (for example, if there were errors in the previous import). NOTE: that if timesheets are included in a pay run, they may not be replaced. The final option is to determine whether the timesheets are automatically approved or whether they should go through the standard timesheet approval workflow. Click Import to begin the process. Once the timesheet import process is complete, if there were any errors they will be shown. The file may be re-uploaded or the columns re-configured and the import retried. If the import is successful, the format of the file may be saved so that it can be re-used at a later date to save having to map the column types each time. The following table lists the available column types. Date only (without time information). The date may be in US or Australian format. This may be used to override the number of paid hours for the timesheet. If left blank, the hours will be determined by the start/end times and the breaks. Units may also be required for unit-based pay categories. 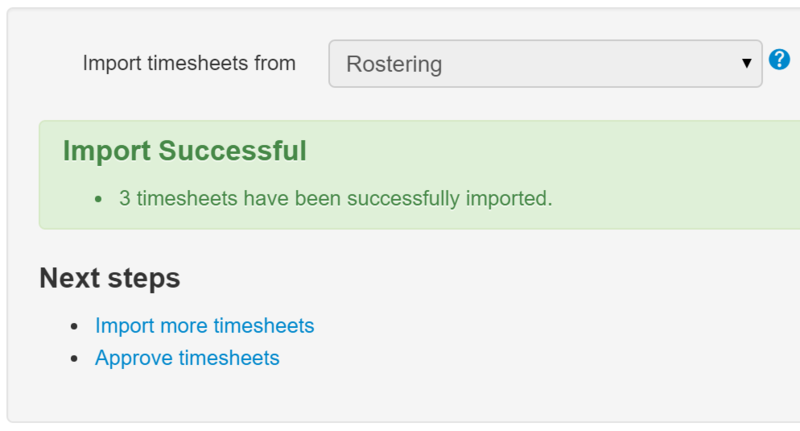 All of these timesheets are very simple however they can be expanded upon due to the timesheet importer's flexibility. 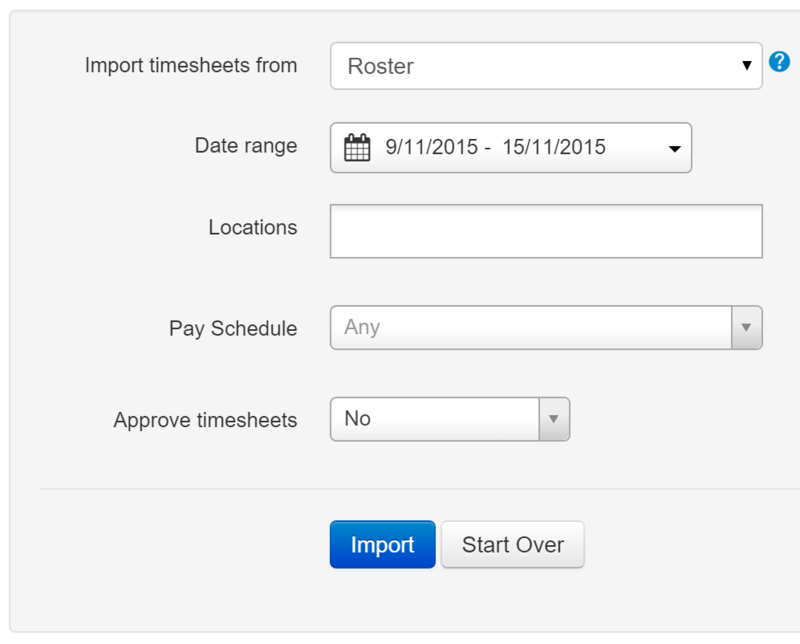 The Roster import option allows timesheets to be created directly from the integrated employee rostering module. One or more location - This will filter on the location of the roster record. Please refer to this article for more information on importing timesheets from Kounta.